Rocket League received its first new map yesterday, and while the layout is similar to previous arenas, it’s got a completely different feel that’s already causing headaches in the pro scene. Though the map has outlines of lanes and paths, those don’t mean anything besides providing a visual marker for the map’s full turbo items. There are no ramps, bumps, or other obstacles in Utopia Colosseum, and while developer Psyonix has promised future maps will get “crazy,” that’s not happening here. 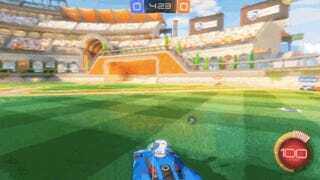 In essence, Rocket League fans will feel comfortable pretty quickly. But there are some wrinkles. Right now, it’s not 100% clear whether the map is bigger or smaller. It definitely feels smaller, but that might merely be an extension of the aesthetics, rather than a change in geometry. “I really think it’s just a re-skin,” said Jonathan ‘Fyshokid’ Taylor, one of Rocket League’s highest ranked players. “But I’ve heard some people say it’s smaller, and some say it’s bigger. It’s probably just the open environment and ‘invisible’ walls messing with people’s perception. Psyonix did not respond to my request for comment, unfortunately. But, yes, the “invisible walls.” Utopia Colosseum is far brighter than previous maps, and people are split on whether it’s a good thing. Some folks, like Taylor, appreciate the expanded color palette that harkens to the last game, Supersonic Acrobatic Rocket-Powered Battle-Cars. The issue is that it’s much harder to see the outlines of the walls, making it difficult to bank shots. An ongoing thread on reddit highlights the current debate. One of the overlooked changes, however, is the ability for cross-platform private lobbies. 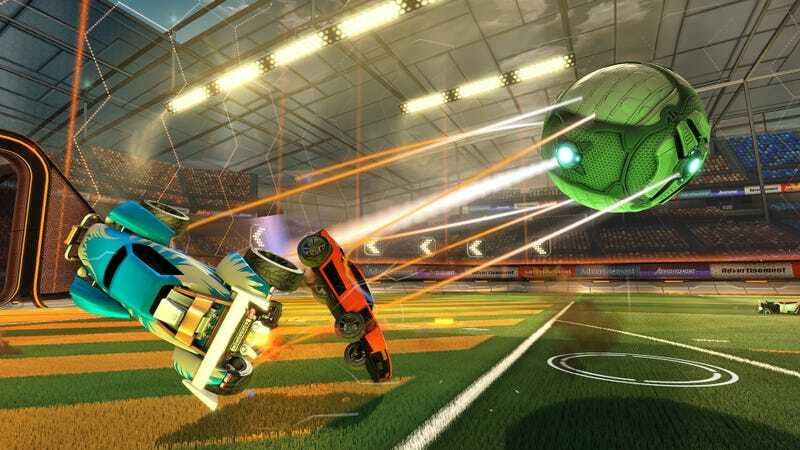 Taylor told me high-level Rocket League play has been hamstrung by the inability for there to be the widest possible pool of car soccer professionals and this fix that. There’s DLC launching for the game tomorrow, but remember: it’s all aesthetic. New maps and other features for the game will continue to free. But if you want new car models? Go for it.